The Original Pillow With A Hole™ - For Post Surgery Healing. For Better Post Surgery Healing. 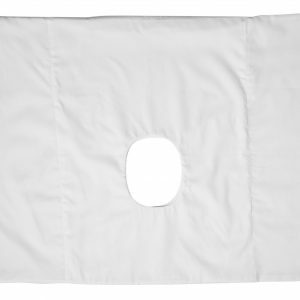 The Original Pillow With A Hole™ was created to facilitate healing after ear surgery. Our pillows completely remove the pressure of your pillow from your ear, allowing it time to heal. Sleep peacefully and pain free with The Original P.W.A.H™. Whether your surgery is for the removal of CNH (ear pressure sores), ear-lobe repair or after having ear piercings; your ear will be thankful you chose us. Regardless of the kind of ear surgery undergone, healing can take anywhere from a couple of weeks to three months. During this period your ear will not only be extra sensitive, it will be susceptible to infection. You can prevent needless bother and discomfort during this time by using our pillows. We are so sure that you will enjoy The Original Pillow With A Hole that we have a money back guarantee. If you find that it is not for you, pop it back in the post to us and we will refund your money. For more information about our refund policy please click here. The Original P.W.A.H™ is made out of 100% cotton and is filled with hypoallergenic hollow-fibre stuffing, so it is perfect for those with allergies. Furthermore, all of our pillows are all made by hand in the UK. details of which can be found here. 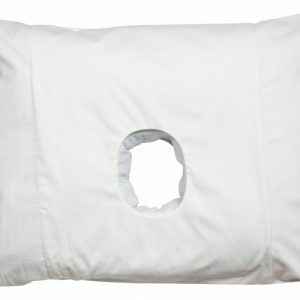 The Original Pillow With a Hole effectively treats pressure sores, chronic ear pain, CNH and other related conditions. A great accompaniment to your Pillow With A Hole. For CNH and Pressure Sores. The Pillow for Sleeping with Ear Piercings. The Pillow With A Hole Ltd.
Fast Worldwide Shipping From $5. Find out more.